I like to track our 12 month forward dividend income here on The Money Sprout for several reasons. First, it offers an opportunity to show how new money invested into dividend stocks gives a boost to our future income. For example, we recently highlighted how investing $5,000 of our tax refund into dividend stocks will raise our future annual income by $236.17. Since my wife and I are still in the early stages of building our portfolio, new investments will account for the biggest increases in future dividend income. However, there are also two other ways to increase our future dividend income that are important to track as well. The second reason to track our forward dividend income is to show the power of reinvesting dividend payments back into new shares of stock through DRiP. Over half of our stocks in the Money Sprout Index are automatically setup to DRiP anytime a dividend payment comes in. We recently highlighted the importance of using DRiP to accumulate shares over time through our investment in Consolidated Edison (ED) 7 years ago. In that time, we have accumulated almost 10 new shares of ED stock just by sitting back and doing nothing. Those 10 additional shares have bumped our future annual dividend income up by $25.90. Note – The only exceptions to using DRiP are those stocks held in our zero commission brokerage accounts – LOYAL3 and Robinhood. The last reason to track our future income (which we don’t discuss all the much) is from annual dividend increases made by companies we own. While the bump in dividend income may not be as extreme as investing new money – annual dividend increases made by companies is important. 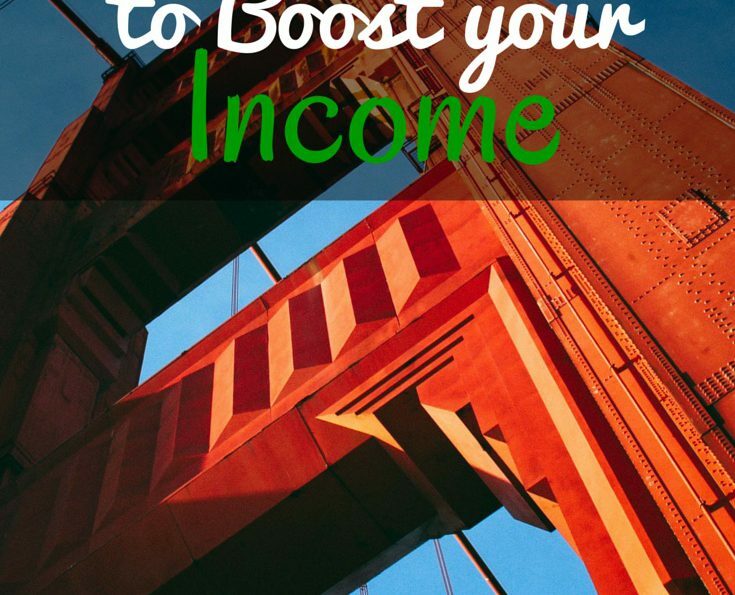 It may be the easiest and best way to boost one’s income! Anytime a company we own increases their annual dividend, my family gets a raise. All we need to do is invest in quality companies that have a history of dividend increases. The rest is simple. Just sit back and wait for the increases to roll in. To highlight the importance of companies that increase their dividends each year, we have detailed a few examples below. Two companies found in the Money Sprout Index recently announced annual dividend increases. This is always exciting news to me since we are getting a raise for basically doing nothing. Since my full time job only gave me a 1% raise last year, I am glad to see my other sources of income treating me a little better. While there are no guarantee’s when it comes to earning dividend income, the companies we own usually treat us with a nice bump in income once a year. Here are 2 companies that are putting a little more cash back into our pockets. We recently decided that Caterpillar looked too attractive to not own any shares in. My wife and I used a portion of our tax refund this year to buy 12 shares of CAT stock. At the time of the purchase, the annual dividend was $2.80. Back at the beginning of 2014, my wife and I decided to buy 21 shares of Target (TGT) as it was beaten down by a data security breach. The total net increase in 12 month forward dividend income from the two companies above comes out to $6.84. Certainly not enough to retire on or get overly excited about. However, if we were to expand that analysis across the entire list of 25+ stocks we own in the Money Sprout Index – it gets more interesting. For example, let’s assume that our portfolio will see at least 6% growth in dividend increases across all stocks combined. We are using 6% growth as it is one of our filters used in selecting stocks to add to our portfolio. In reality, our growth rate should be higher (hopefully closer to 10%) but we will keep it simple for now. Let’s also assume that we plan to earn $1,500 in dividend income next year. This value will also be higher, but I like to figure for the worse case scenario. A 6% increase on $1,500 would come out to an additional $90 in future dividend income. That is for doing absolutely nothing! Now let’s look at a better scenario. I am fairly certain we can earn $2,000 in dividend income next calendar year. I am also confident our dividend growth rate would be closer to 7.5% (or possibly higher) for the stocks we own. That is the same thing as saying we are getting a $150 raise from the companies that we own the following year. While an extra $90 or $150 may not seem like a lot of income to many of you, it is significant to me. By itself, it isn’t all that significant to be honest. However, combined with the other two methods for increasing our dividend income and we are talking about a cash producing machine. As our future dividend income grows from new investments and DRiP, a 7.5% or even 10% annual raise by the companies we own becomes much more significant! Do you pay attention to the dividend growth rate of companies you already own? Or just the ones you are looking to buy?